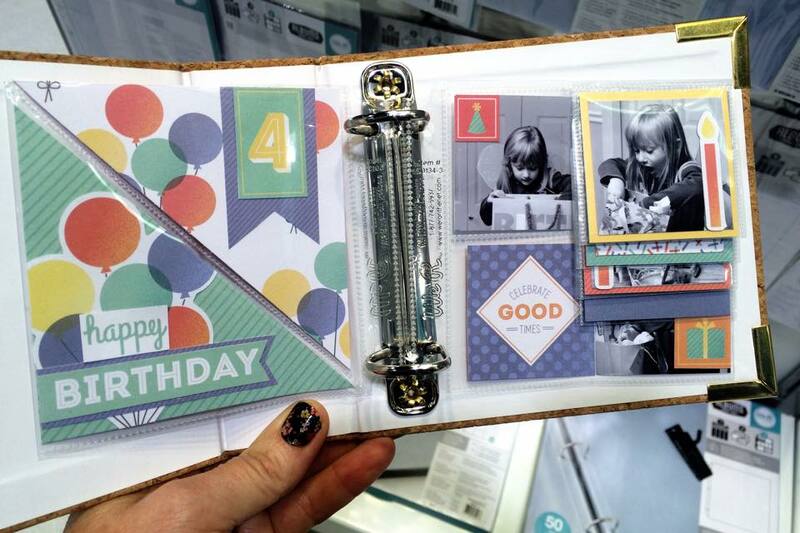 One of the hottest tools that debuted at CHA last month is the We R Memory Keepers Photo Sleeve Fuse. 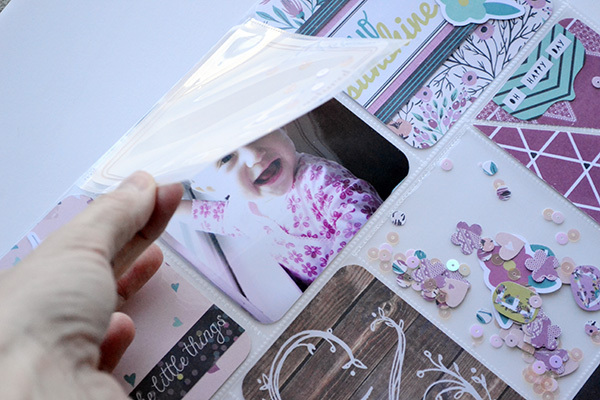 This awesome tool can cut and fuse together photo sleeves giving crafters endless possibilities when it comes to pocket page projects, shakers projects, and much much more. I recently filmed a couple of videos demonstrating some project ideas using this much-anticipated tool. To watch them, visit my YouTube channel HERE and HERE. So fun!! I had the opportunity to use this fabulous tool to create some projects for CHA last month, and I thought it would be fun to share those with you. 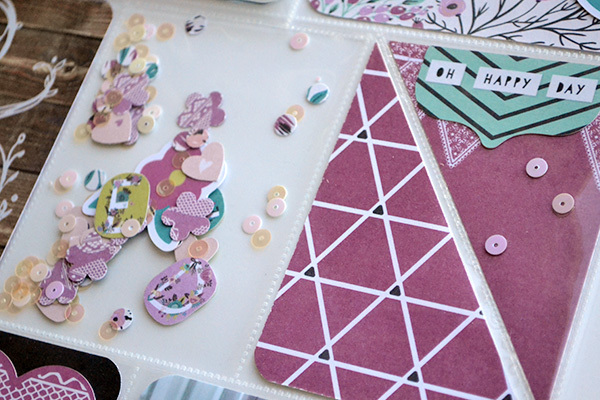 Check out a 12x12 pocket page I made with the soon-to-be-released Hello Darling collection. I used The Fuse tool in a few different ways on this layout--first I cut a 3x4 pocket diagonally and fused the bottom of one to create two triangular pockets. Then I created a shaker pocket filled with confetti, die cuts, and sequins. I fused the top of the pocket to secure the confetti inside. Then I used one of the 4x4 waterfall sleeves that are sold separately and fused it to the top of the page over one of my photos. I inserted a 4x4 Instagram Journaling Card from the Sheer Metallic collection which allows the photo to show throw the lovely frame on the card. I added a few sequins to the card as well. Finally I cut one of the 4x4 pockets into four 2x2 pockets, fused the bottoms, and then added some 2x2 photos and journaling cards. 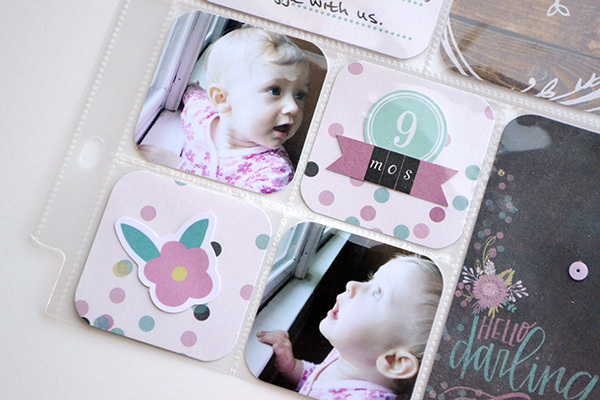 I also used the Photo Sleeve Fuse to create an Instagram Mini Album about my daughter's 4th birthday party. I ran out of time to photograph it before I mailed it in, but my fellow teacher at Big Picture Classes, Tami Morrison, photographed it in the We R booth while she was at CHA so I borrowed hers. So, what do you think about the new Photo Sleeve Fuse? What would you use it for? Is this a tool you'll be adding to your wish list, or will you be passing this one up? I love what you created, Aly! I see lots of ideas that I can't wait to try! I did purchase one at HSN a couple of days ago. Can't wait to get it!